In Georgia, khinkali is a staple menu item and available at most Georgian restaurants. 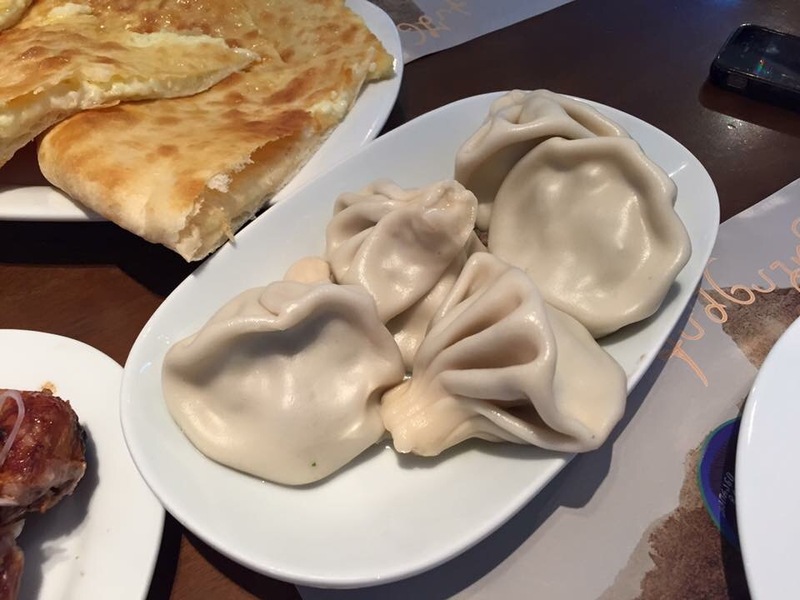 These “Georgian dumplings” are usually filled with minced meat or cheese, but some newer restaurants offer other types of khinkali filled with mixed vegetables, mushrooms and more. Khinkali reminds me of the typical Shanghai soup dumplings I’ve eaten quite often in New York City’s Chinatown, however, the dumpling skin of khinkali is much thicker and it’s eaten differently. During my stay in Georgia, I learned from my friend Sopho that legend has it among the younger generation, “Eating kinkali is how you make out with someone.” Now, every time I eat khinkali I just laugh and that’s all I think about! Most restaurants have a minimum number of khinkali you can order, which I found is often five. The locals joke around about how many they can eat at one sitting. Our friend George says 20 khinkali is about his max! For me, it was about six. Just never try to order two khinkali at a restaurant or the waiter might laugh at you (learned that the hard way). So, how do you eat khinkali? You hold the top part of the khinkali with your right hand, and lift the bottom part with your left hand. Slowly and carefully, bite a small hole in the khinkali and began sucking out the soup. Gradually work your way around the khinkali, repeating the process. I also learned that you should not eat the top part of khinkali (the part you hold). The dough is very thick and locals say the “peasants” of Georgia only eat this part. Personally, my favorite khinkali is the one filled with meat (lamb or beef), cilantro, onions, parsley and dill. Of course, you have to sprinkle a hefty amount of black pepper on top like the locals do when eating khinkali. 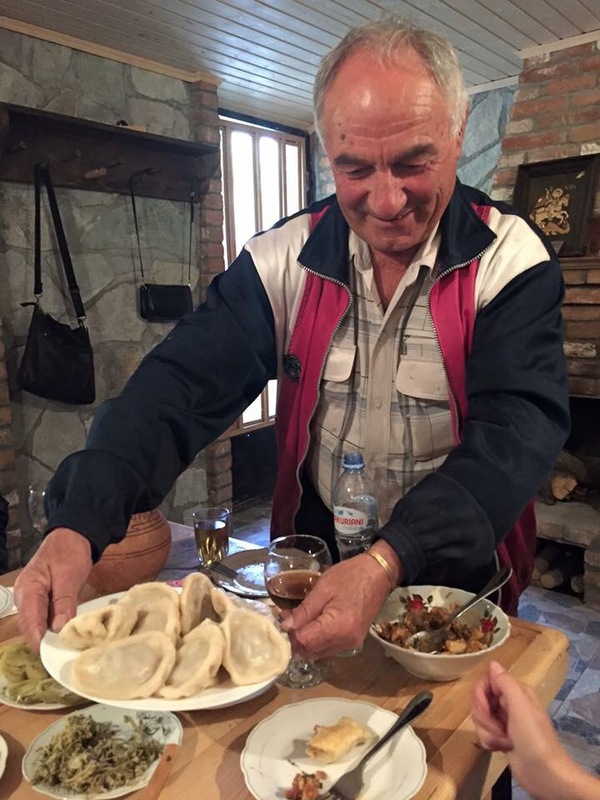 I highly recommend trying khinkali if you can find it in your city, or just book a plane ticket to Georgia!